Our company specializes in Lightning Protection and Surge in Energy and Telecommunications Networks. DEG POWER SOLUTIONS offers customized solutions in lightning protection, surge protectors, etc. Our work is based on individual study of each and every one of the client’s cases, offering services tailored to each situation, and always based on the highest quality standards, adapting them to the most demanding standards. DEG POWER SOLUTIONS began to develop its activity 5 years ago. 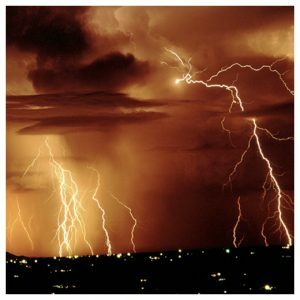 One of our most important services consists of lightning protection to protect people as well as their equipment and buildings from damage that otherwise would occur in the wake of atmospheric phenomena such as lightning, switching of electrical loads, etc. In addition, our commitment goes beyond, and from the beginning we have incorporated all the technological advances at our disposal, to establish ourselves in a highly competitive company with a complete and efficient working method in each case. Therefore, we are especially dedicated to the supply, installation and maintenance of our own products. Our work is developed by a highly qualified professional team in an industry as specialized as this one. Discover our products and lightning protection services through the website, and if you need our services, DEG POWER SOLUTIONS will make a budget taking your needs into account and offering solutions for each of our clients and projects. Our goal is to be the technological leader in this field, providing the most complete range of products and solutions at the highest quality.